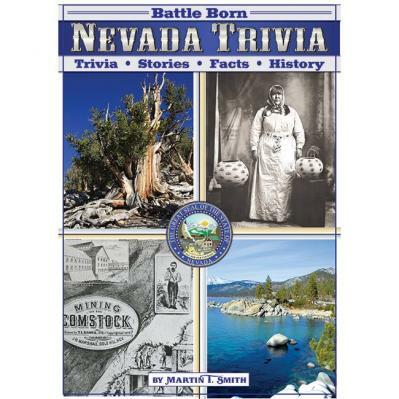 "Battle Born Nevada Trivia" This is Martin T. Smith's second and best book. 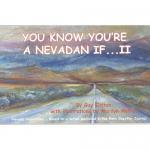 He saves a few of his favorite stories from his sold out book "Nevada Outhouse Trivia" and adds 24 new short stories, new Nevada trivia, great photos and some surprises. Without a doubt this is the most entertaining book of its' kind. Stan Paher's much anticipated book. 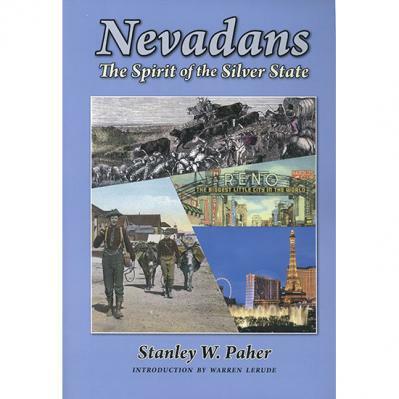 "Nevadans, the spirit of the silver state" The book reviews the first 150 years, with sections devoted to each of Nevada's 17 counties. The photos are worth the price of the book. 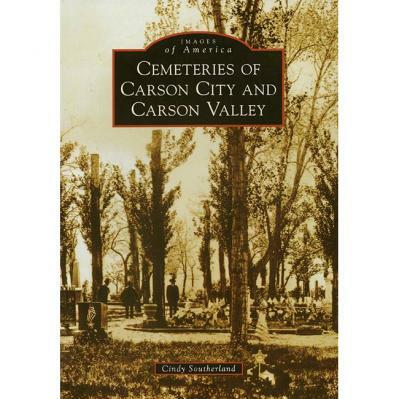 This is a must have book for anyone that loves Nevada history. 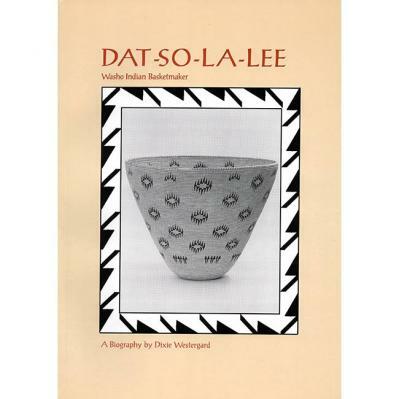 Dat-So-La-Lee Washo Indian Basketmaker a biography by Dixie Westergard. Read why Dat-So-La-Lee was the best basket weaver in history. Rare photos in this book. Book is paperback. 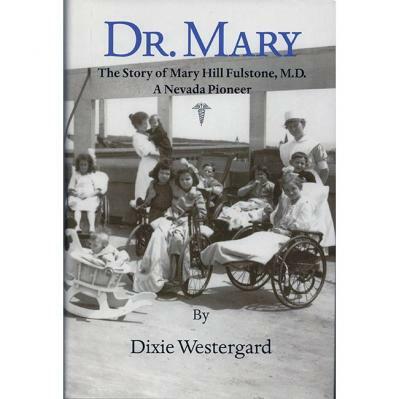 Author Dixie Westergard's account of the life and times of Dr. Mary Fulstone brings to life the character and strength of this medical pioneer. 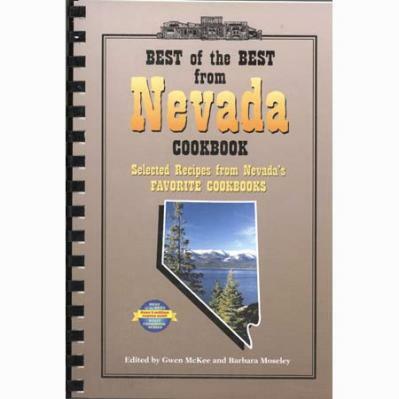 Over 250 recipes from Nevada's favorite cookbooks. From chuck wagon food to gourmet classics. Beverage, appetizers, breads, sauces, breakfast, lunch and dinner recipes right at your fingertips. 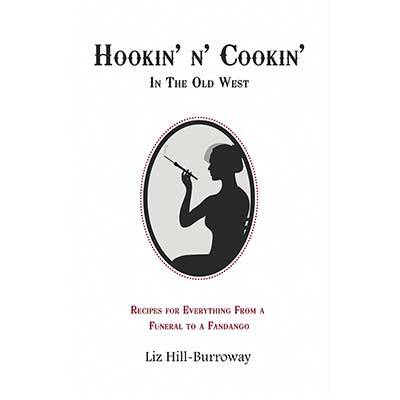 This easy to read and follow cookbook features some beautiful black and white photos of Nevada. 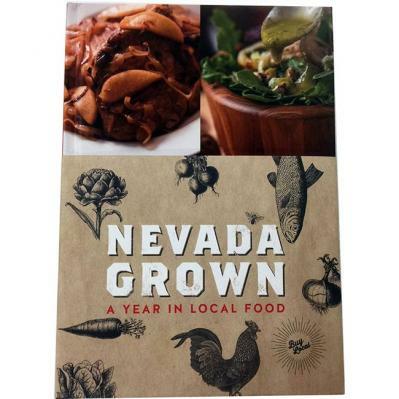 Nevada Grown: A Year In Local Food brings together 150 recipes from farmers, ranchers, professional chefs, and home chefs. All recipes highlight foods grown in Nevada. This is a Hard Back Book. Written by Linda Rasmussen and illustrated by Churchill County kids. Graphic art by Fernando Rollano. Great book for teaching kids about how Nevada helped pass the 13th Amendment and many other historic points. 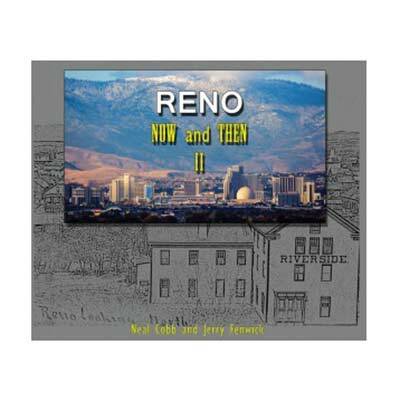 Reno Now and Then II book by Neal Cobb and Jerry Fenwick, that vividly illustrate the history of Reno, Nevada through historic photos and contemporary re-photography of the original locations. 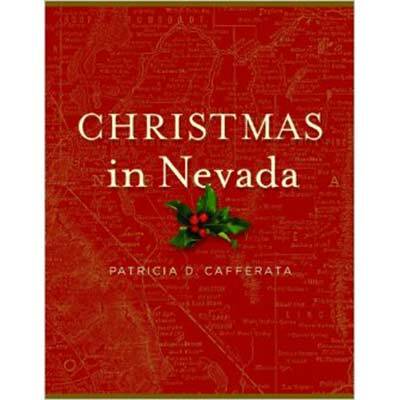 The delightful and touching stories of Christmas in Nevada tell how Nevadans have celebrated the holiday, from 1858 to the present day. The Author Patricia (Patty) Cafferata has had a diverse career in politics, law and as an author. 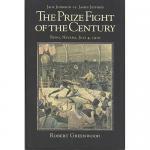 Commemorating the 100th anniversary of "The Prize Fight of the Century", RGJ reporters Ray Hagar and Guy Clifton have compiled a recollection of the event through profiles of the key figures; stories, photos and illustrations from Reno's two daily newspapers, the Reno Evening Gazette and the Nevada State Journal; and interviews with boxing and Nevada historians. 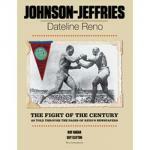 The title fight between Jack Johnson and James Jeffries marked one of the most significant events in Nevada's history, and in the history of race relations in the United States. 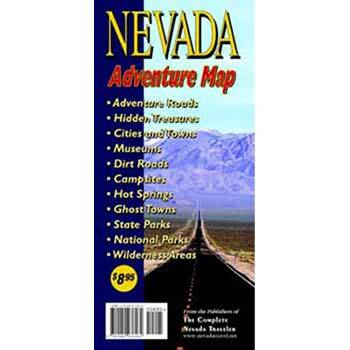 The Nevada Adventure Map is printed on a 36"x24" sheet and shows Adventure Roads (paved, graded and 4-wheel-only). More than 40 "Hidden Treasures"; exceptional attractions you might not find on your own; campsites, hiking trails, hot springs, ghost towns, live towns and wonderful things to see and do as you travel through Nevada. The back side of the map provides detailed access information and more than 40 photos of the state's visitor landmarks and recreation opportunities. 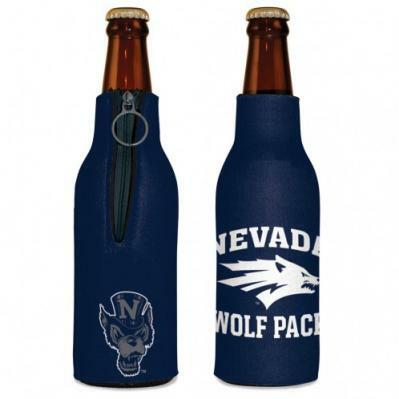 Guaranteed to help you have a blast in Nevada. Nevada has long been known as the wildest adventure state in the lower 48, and this atlas is the first atlas to fully corral all of its marvels and outdoor potential. 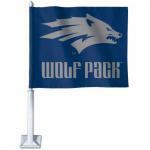 Careful and thorough field checking and local research assure users the best Nevada outdoor experience possible. Recreation maps show hunting units and public lands, emphasizing historic trails and points of interest. Special metropolitan maps of Las Vegas and Reno, and a dazzling view of Lake Tahoe make this a complete atlas for the home or car. Photos from the last 150 years in Nevada history. Pictures dated from 1860's to the 1960's. 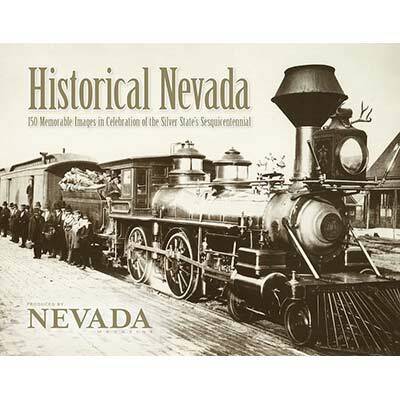 From mining to trains, and from Hoover Dam and Las Vegas to Indians from Nevada's past, you will find beautiful images in this 160-page hardbound book. This is a well-researched guide to more than 1100 desert destinations in Southern Nevada's scenic backcountry. With 33 new color maps for desert explorers, and 265 vintage photos, you can visit and learn about historic places, natural features, placer gold sites, campgrounds, gemstone sites, caves, hot springs, and recreation areas. 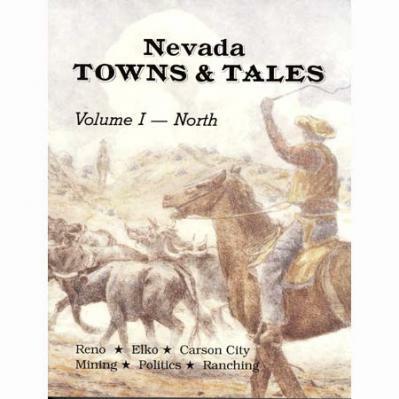 Nevada's all-time best selling history book. 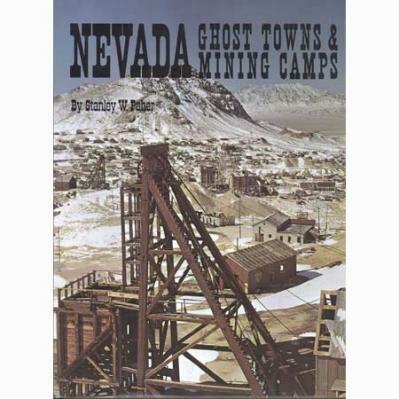 This large hard bound book contains more pictures and describes more localities of ghost towns and mining camps than any other Nevada book published. 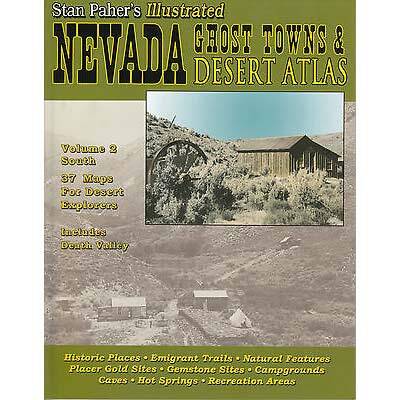 Written by Nevada expert, Satnley W. Paher. 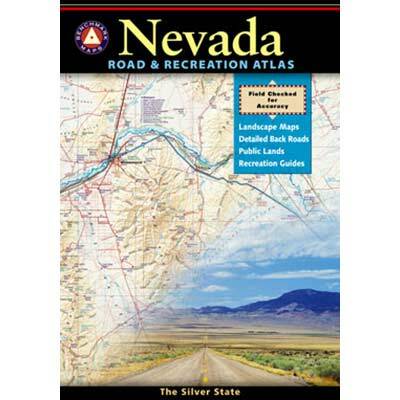 Covering the northern portion of Nevada, this atlas includes sites in northern Nevada. 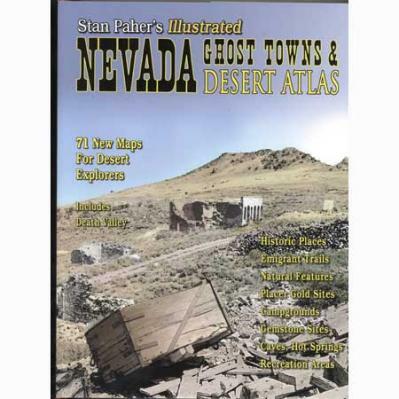 It has 37 color maps and 265 vintage photos by ghost town pioneer Nell Murbarger. 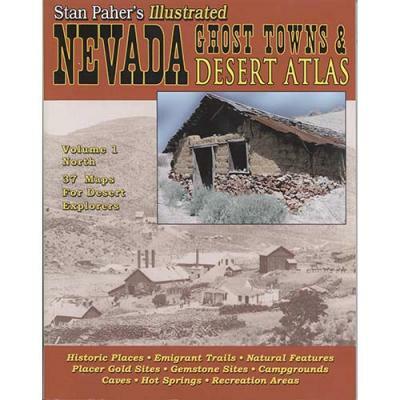 Each of the maps in this atlas are keyed to the corresponding historic sketches found in its popular companion volume, Nevada Ghost Towns & Mining Camps by Stanley W. Paher. 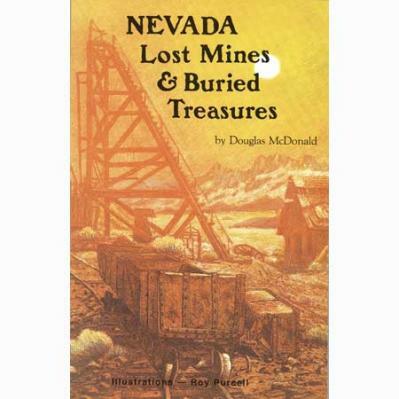 Douglas McDonald's 6" x 9" ,128 page book recounts 74 legends of lost mines in Nevada, from the Gold Rush of 1849; tales of buried coins, bullion bars, stolen bank money and more. Includes maps and illustrations. This large 8.5" x 11" book written by Stanley W. Paher has many different aspects. Stan writes about gambling, politics, mining, state emblems, casino entertainment, legends, ranching, railroads, native animals and much more. The books has dozens of great historical black and white photos. Read this very interesting memoir of former U.S. Senator Paul Laxalt. 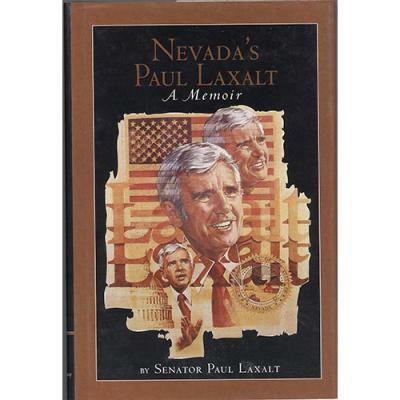 It is a tell all about the life and times of Paul Laxalt. Written by Paul Laxalt. The first book was so popular they wrote another one. 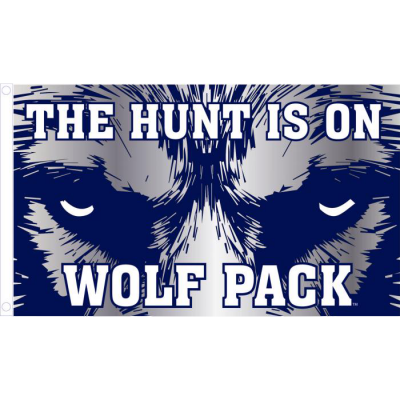 "You know you're a Nevada if II" is just more fun. Written by Guy Clifton with illustrations by Marilyn Melton. You know you're a Nevadan if you know "what going to the Wal" means. 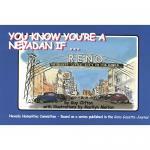 Many more of these fun "You know you're a Nevada if's. Written by Guy Clifton with illustrations by Marilyn Melton. 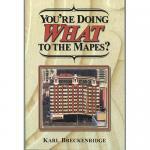 You're doing what to the Mapes? Don't let the title of this book fool you. 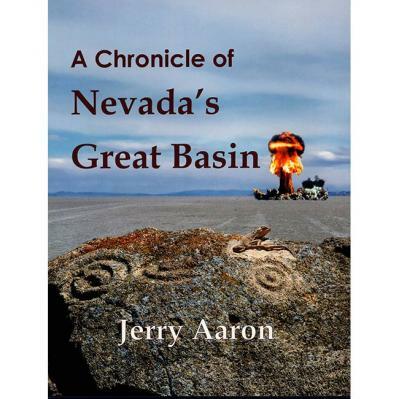 Author Karl Breckenridge has put together a collection of short stories and writings of dozens of places and people northern Nevada. 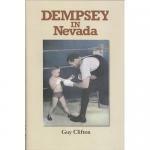 Dempsey in Nevada is an historic look at Heavyweight champion Jack Dempsey, the most famous sports personality of the early 20th century. This book as some rare photos. 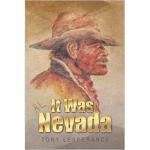 Written by Nevada author Guy Clifton. Alkali Angels isn't just another conversation piece for your coffee table. 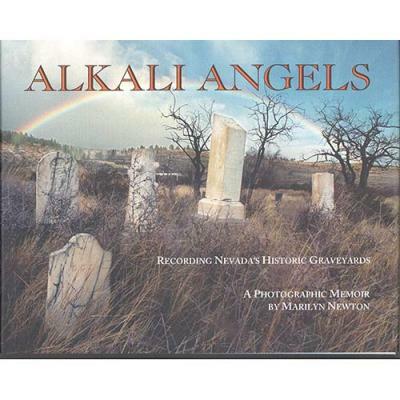 For seven years Marilyn Newton traveled all over the entire state of Nevada to record with her beautiful photos of historic graveyards. Marilyn writes a short history of each graveyard location. By Mark Twain, (Samuel Clemens). 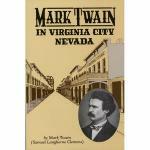 Nevada author Stanley Paher has taken excerpts from Mark Twain books that pertain to Virginia City and Nevada. Read about mining, milling, claim jumping, speculation, fist fights, desperadoes, shootings and funerals from Samuel Clemens himself. 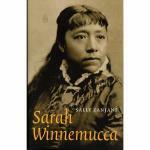 Written by Sally Zanjani, this book is a moving story of Sarah Winnemucca (1844-1891), one of the most influential and charismatic Native women in American history. Born into a legendary family of Paiute leaders in western Nevada, Sarah dedicated much of her life to working for her people. 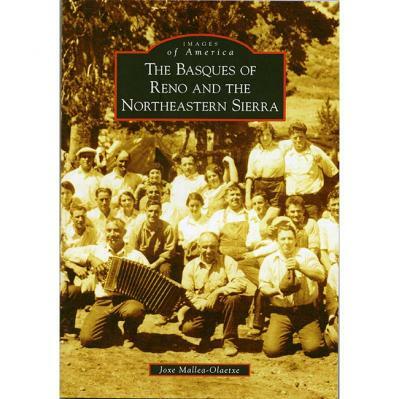 "The Basques of Reno and Northeastern Sierra" by Joxe Mallea-Olaetxe. Like other books published by Images of America the book has great photographs and gives a small look into the Basque. "Sparks" by Joyce M. Cox. 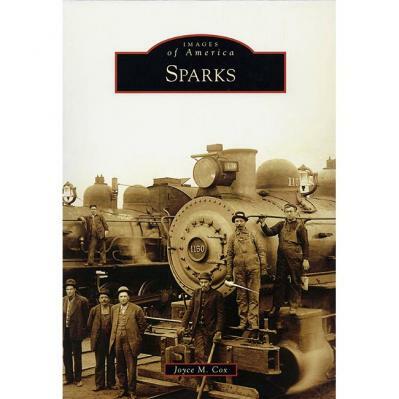 Like other books published by Images of America the book has great photographs and gives a small look into the history of Sparks. 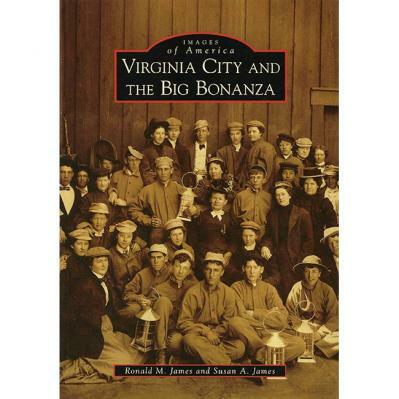 "Virginia City and the Big Bonanza" by Ronald and Susan James. 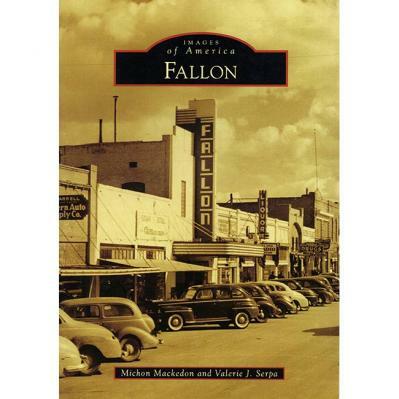 Like other books published by Images of America the book has great photographs and gives a small look into Virginia City's history.